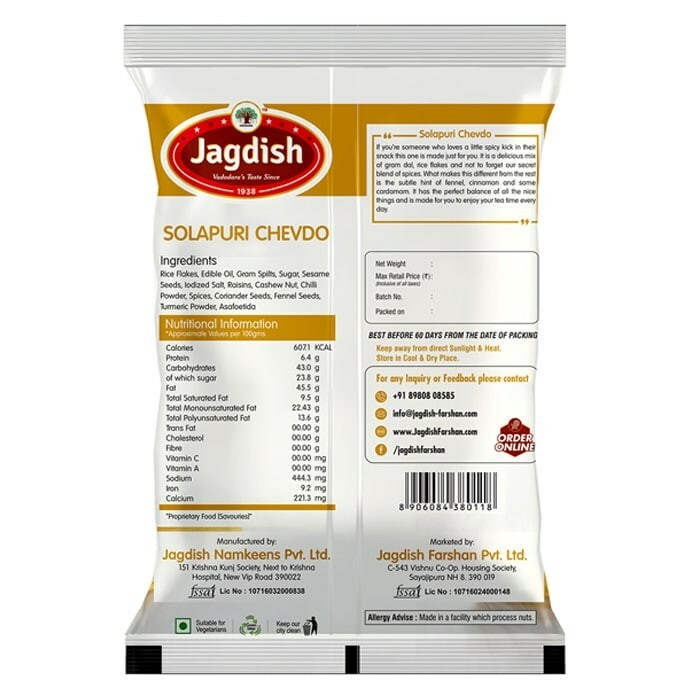 Buy Solapuri Chevdo of Jagdish Farshan from Vadodara online | Authentic Indian Sweet , Savories and Delicacies from the place they originate by Moipot. 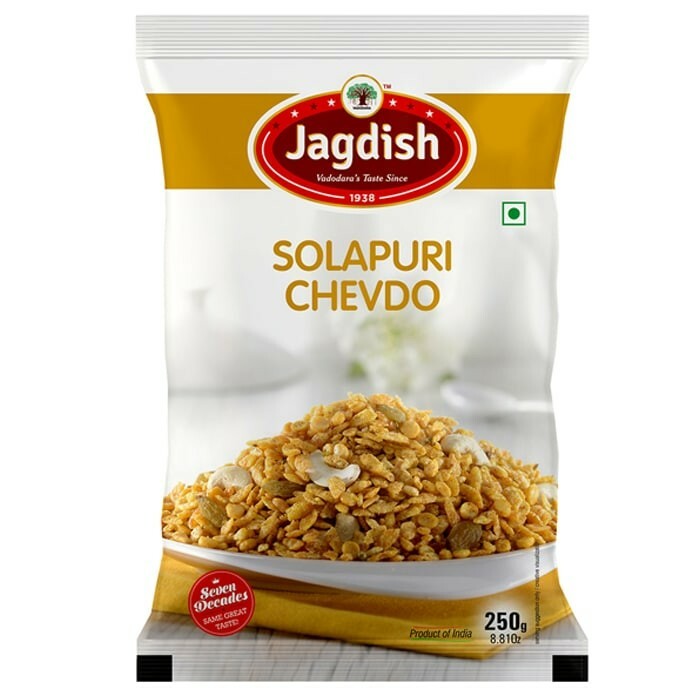 Add a twist to your boring snack time with this evergreen spicy and crunchy solapuri chivda from Jagdish Farshan. Just a hot cup of tea and your favorite solapuri chevdo to pop it in your mouth, you are all set for a yummy afternoon snack. 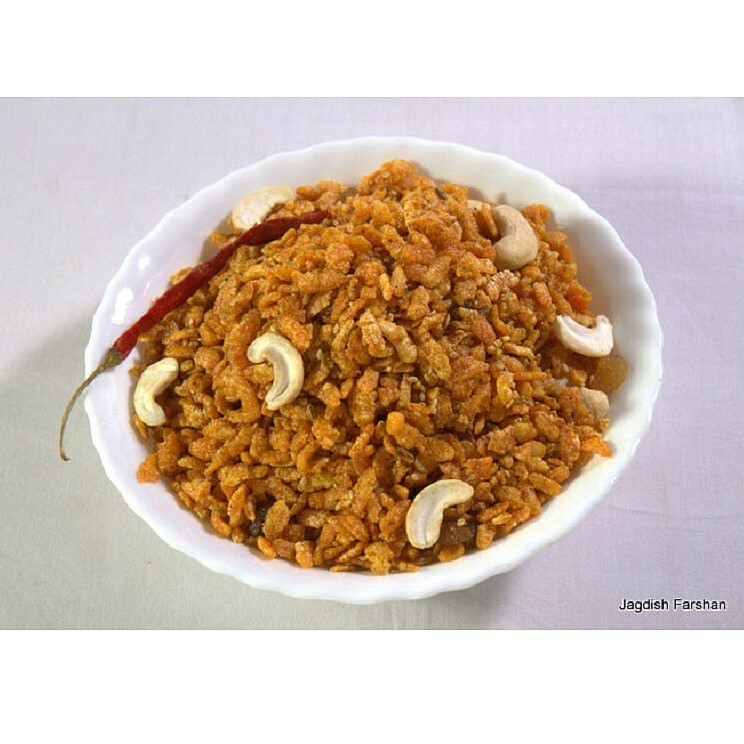 With mouth-watering flavor of gram dal (besan), cinnamon (dalchini), cardamom (elaichi), and fennel, this rice-flakes and dry fruits churmura is a must-have.